Last year’s announcement of nationwide stadium grants by the government and Hungarian football association resulted in blooming revamp projects across the country. 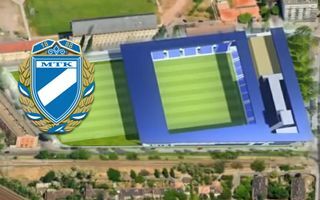 First new stadium was opened last week (Felscut), another one comes this week (Debrecen) and the first Budapest-based ground is also only weeks from delivery (Ferencvaros). The pool for renovation works isn’t too large at HUF 40 billion (€130m / $180m), but with efficient planning and other funding sources the plan envisages all 27 stadia of two upper leagues to be covered. In Budapest Ferencvaros and Honved already announced their ambitions, now another historically significant club (23-time champion!) MTK joins the race. According to Nepszava.hu, MTK expect a HUF 1.016 billion subsidy from the MLSZ for an entire project worth HUF 6.5 billion (€21m / $29m). StadiumDB.com understands the scheme foresees extensive commercial functions and a training centre, while the stadium itself is expected to be rather modest, at 5,000 seats. The scheme granted approval to go forward dates back to 2010, when MTK future home’s masterplan was drawn.